Emanating live for three hours from the Spectrum Center, Charlotte, North Carolina, MONDAY NIGHTRAW® features WWE Superstars Roman Reigns, Seth Rollins, Alexa Bliss, Sasha Banks, Samoa Joe and more. Emanating live for two hours at 8/7c from the Philips Arena, Atlanta, Georgia, SMACKDOWN LIVE® features WWE Superstars AJ Styles, Charlotte Flair, Becky Lynch, The New Day, Jinder Mahal, Randy Orton and more. Happy Halloween! 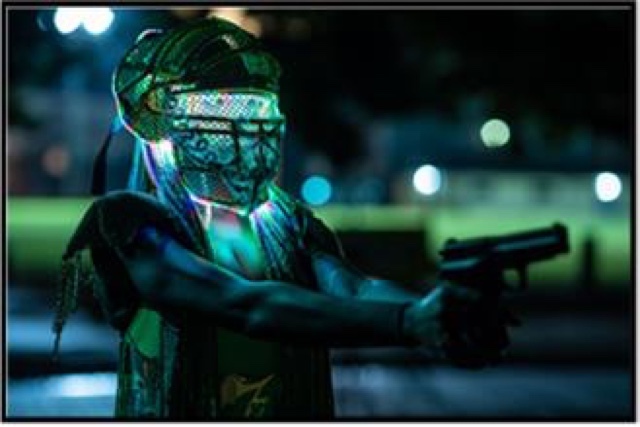 Catch up on USA's newest series THE PURGE ahead of the season finale on Tuesday 11/6 @ 10p. Based on the hit movie franchise from Blumhouse Productions, THE PURGE revolves around a 12-hour period when all crime, including murder, is legal. What do you call a skeleton who won’t work? Lazy bones. Ha-ha-ha. There are no lazy boned people on the SVU team, that’s for sure. These folks are working around the clock to solve the creepiest cases out there in time for Halloween. Three all-new episodes airing back-to-back. Two new episodes airing back-to-back. We sure are glad that SVU is not a reality television show, even though a lot of the episode subjects are ripped from the headlines! They still have just as much drama though so tune-in to see wives, housewives, and Real Housewife of NYC's Countess Luann de Lesseps guest star in this all day marathon! HOLLYWOOD, Calif. – Kevin Costner leads a sensational cast in writer/director Taylor Sheridan’s engrossing family drama “YELLOWSTONE” Season One, arriving on Blu-ray and DVD December 4, 2018 from Paramount Home Media Distribution. The epic story of a multi-generational family of ranchers was an immediate ratings hit on Paramount Network, drawing 5 million viewers in Live+3 and making it the top summer drama series debut on cable or broadcast. “YELLOWSTONE” was also the second most-watched TV series on ad-supported cable in 2018, only behind “The Walking Dead.” The series has already been renewed for a second season. 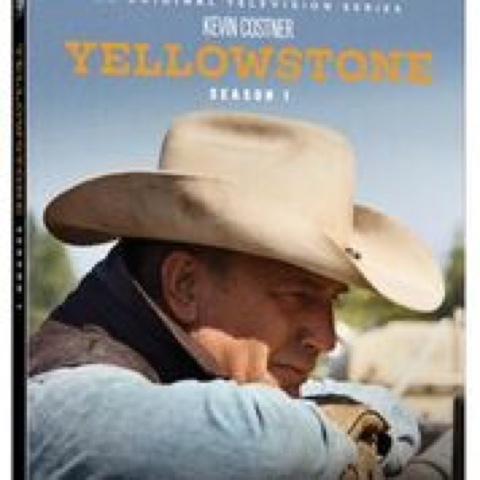 The “YELLOWSTONE” Season One3-disc Blu-ray or 4-disc DVD set includes all 10 hour-long episodes from the inaugural season, plus more than 80 minutes of behind-the-scenes featurettes, including an all-new exclusive interview with Kevin Costner and Taylor Sheridan. Co-Authored by Ezra Croft and Jennifer Raiser, The Art of Being Bill: The Many Faces of Awesome is one of the most unexpected treasures and original art books I have ever had the pleasure to review this year. It is geared toward fans of the SNL Amuni turned acclaimed Comedic and Dramatic Actor, but even mild fans or passive watchers of films featuring Bill Murray should look at this book because it is more than a celebration of Murray's genius as seen through the eyes of a great many artists, it is also an important look at the human condition as one might find in any museum or institute. Indeed some of these works should be housed among great paintings and traveling exhibitions all over the world with works ranging from sketches to digital imaginings of Murray as Superman, a Knight or being present at the Last Supper. 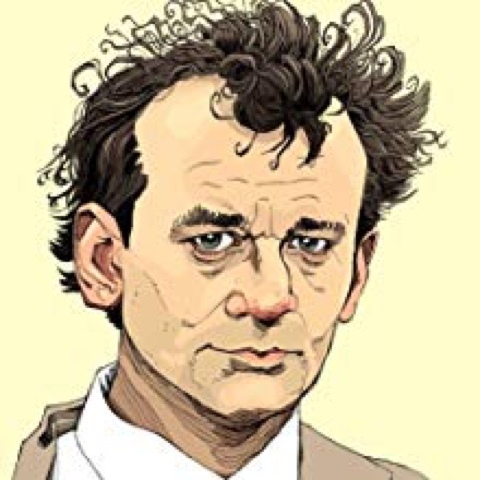 Not since the Woody Allen film Zelig, has there been such a wide array of images featuring as diverse a talent as Bill Murray in so many roles and disguises. 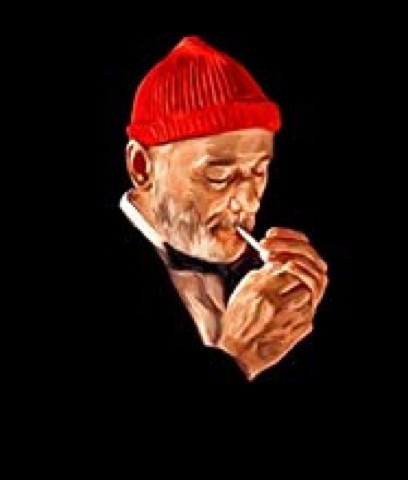 Murray is kind of the "every person" in this allotment of 150 stunning images that also takes inspiration from his many small screen and big screen characters ranging from comedies like Stripes and Meatballs to his acclaimed collaborations with Wes Anderson in films like Rushmore and The Life Aquatic with Steve Zissou. Trivia from his films along with one-sheet art from his many movies are presented as well and include how he came to be involved in Zombieland to his enthusiasm for the script for Rushmore, where he worked for scale. One even finds out Murray has even studied Shakespearean Acting and appeared in one of the many feature film adaptations of Hamlet. The book even includes a Fill - In - The - Bill introduction written by Co-Author Jennifer Raiser that is reminiscent of Mad-Libs though this book is too precious to mark it up while filling in the blanks in your mind. Photo credits and information on the artistic contributors are maticulously indexed in this quality hardcover book. 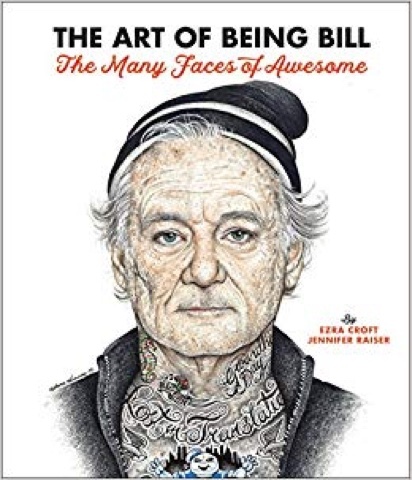 The Art of Being Bill: The Many Faces of Awesome is available now at retailers on and offline and has a suggested retail price of $25 dollars in the US, $33 dollars in Canada and 16.99 in the United Kingdom and is published by Race Point Publishing, an imprint of The Quarto Group. 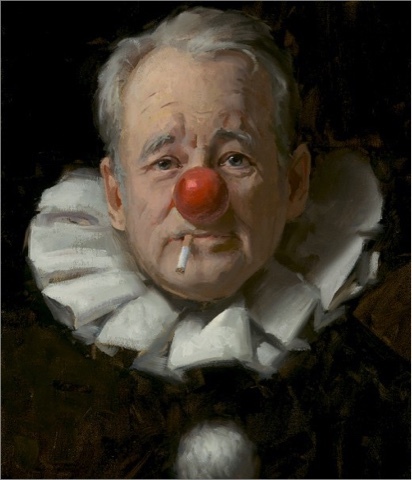 This is a terrific gift for any Bill Murray admirer too. Award winning Filmmaker / Author John Borowski's (H.H. 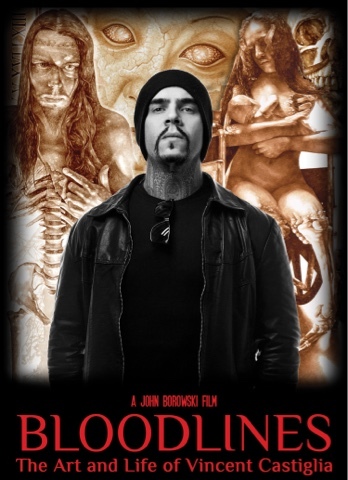 Holmes: America's First Serial Killer) fifith feature documentary film, Bloodlines: The Art and Life of Vincent Castiglia, will be released in North America on November 13th. The film focuses on artist Castiglia's painful life of abuse, addiction, and recovery while also exploring the reasons why the world renowned artist paints exclusively in human blood. Vincent Castiglia paints surreal images exclusively in human blood. He began doing so as form of self-healing following a troubled childhood and painful existence. From darkness, however, came light, and Castiglia's story is one of inspiration and hope, providing proof that art can heal and serve to inspire others. Margaret Cho, who commissioned Vincent to paint her portrait in her blood, is interviewed in the film as well as celebrities Gregg Allman, Damien Echols, Kerry King and Gary Holt of the heavy metal band Slayer, record executive Michael Alago, and numerous others including filming in the studio and museum of legendary artist H.R. Giger, who designed the iconic creature for the Alien movies. After a successful Kickstarter fundraising campaign, production of the film spanned from 2014 to 2018, filming on location in the United States: New York City, Los Angeles, Louisiana, Chicago, Oregon, and internationally: Singapore and Switzerland. 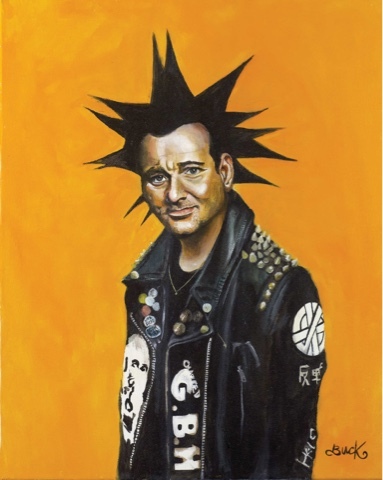 "A tremendously entertaining look inside the mind of a remarkable artist." "An honest and inspirational look into a unique and incredibly talented artist's soul." Spun off from the hit CW prime time series, The Vampire Diaries, at a time when Vampire themed TV shows like True Blood were very popular, Warner Brothers Home Entertainment released The Originals: The Complete Fifth And Final Season DVD Set on October 2, 2018. The series final season picks up seven years after select members of the Mikaelson family fleed New Orleans to keep their beloved city and Hope safe until events force them to return. The three-disc set contains all thirteen episodes of the final season in matted 16 by 9 enhanced standard definition with English Dolby Digital 5.1 Surround Sound and English Subtitles for the deaf and hearing impaired encoded as options. Two PSAs, footage from the SDCC 2017 panel and deleted scenes as well as a gag reel are included within the set too. 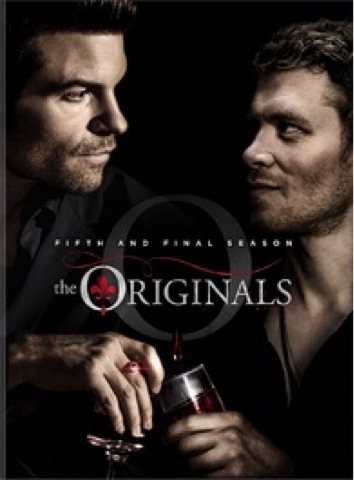 The Originals: The Complete Fifth And Final Season DVD Set is available now at retailers on and offline courtesy of Warner Brothers Home Entertainment. (C) Copyright 2018 By Mark A. Rivera. While Marvel has placed the majority of it's television series, which were at one time supposed to be directly connected to the same universe as their feature film counterparts, on streaming networks like Netflix as well as cable and satellite networks, DC never claimed their TV shows were connected to the same universe of the feature films and in fact created a great shared universe organically that began with Arrow and now includes The Flash, Supergirl and DC's Legends of Tomorrow. All of these shows air on The CW Network and can be viewed at no cost for anyone with a digital tuner and antenna in the United States so long as they can receive the broadcast reception. With all four television series are now airing new episodes of their respective seasons and all four are now available on home video, I was granted the opportunity to check out Supergirl: The Complete Third Season and DC's Legends of Tomorrow on Blu-ray Disc courtesy of Warner Brothers Home Entertainment. I believe that no matter what show one may pick up, each series on Blu-ray Disc features the spectacular four part crossover episode entitled "Crisis On Earth-X." This is a generous value added decision on the part of DC and Warner Brothers because you don't have to buy each season of each show to get the entire story. If you are a fan of The Flash, you can just buy The Flash and so on. 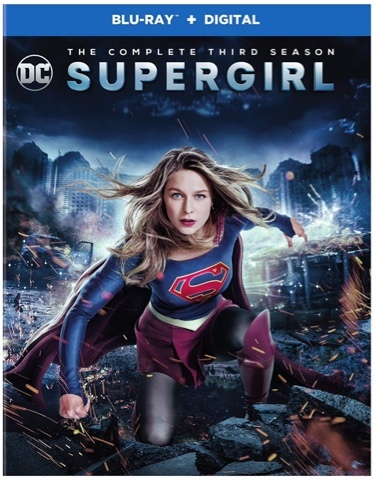 So with that out of the way, collectively consumers who purchase Supergirl: The Complete Third Season will get 26 episodes in 1080p full HD in their 16 by 9 broadcast aspect ratios while those who purchase DC's Legends of Tomorrow will get the complete third season in the same fantastic picture quality as well as the four crossover event episodes two. Both seasons of these respective series include aggressive and clear English DTS-HD MA 5.1 Soundtracks as well as Spanish Language Dolby Digital Soundtracks and English SDH, French, and Spanish Language Subtitles encoded as options. Please note that Supergirl's Spanish Language Soundtrack is 2.0 only and not 5.1 like the Spanish Language Track on DC's Legends of Tomorrow. Series Specific featurettes that include deleted scenes, a gag reel, the best of the 2017 Comic Con panels and coverage of the making of "Crisis on Earth-X." Episode information is included within each series BD case and each season also features an insert with a limited time only redeemable code for an Ultraviolet Digital Copy of the respective shows the codes are featured with. 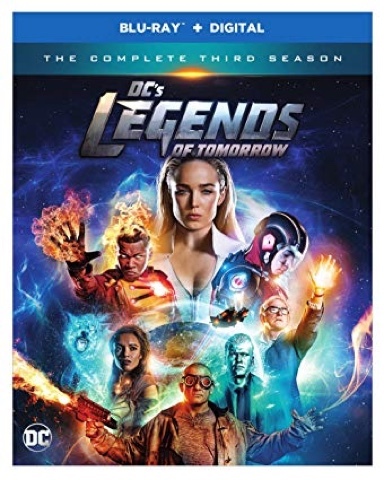 Both Supergirl: The Complete Third Season and DC's Legends of Tomorrow: The Complete Third Season are available on Blu-ray Disc now, but sold separately at retailers on and offline courtesy of Warner Brothers Home Entertainment. Just in time for its 40th Anniversary, Blue Underground is proud to present ZOMBIE in a brand-new 4K Restoration from the original uncut and uncensored camera negative. In Italy, it was considered the 'unofficial sequel' to DAWN OF THE DEAD. In England, it was known as ZOMBIE FLESH EATERS and banned as obscene. In America, it was called ZOMBIE and advertised with the depraved tag line "WE ARE GOING TO EAT YOU!" Tisa Farrow (THE GRIM REAPER), Ian McCulloch (CONTAMINATION), Al Cliver(CANNIBALS), and Richard Johnson (THE HAUNTING) star in this worldwide splatter sensation directed by 'Maestro Of Gore' Lucio Fulci (CITY OF THE LIVING DEAD, THE HOUSE BY THE CEMETERY) that remains one of the most eye-skewering, skin-ripping, gore-gushingly graphic horror hits of all time. Blue Underground is the entertainment company dedicated to guilty pleasures for adventurous movie lovers. Established in 2001, Blue Underground's goal is to bring cool movies to fans all over the world in beautiful, Criterion-level special editions. They are definitive discs of some remarkable films, all fully restored, remastered and packed with the most mind-blowing extras in the business. Blue Underground is always searching for fun movies, undiscovered films, and films for people that are into movies. We're committed to bringing these movies out of the dark and back into your life where they belong! For more information, please visit www.blue-underground.com. Hailed as “brilliant, fascinating, and uncomfortable” (Slate), Comedy Central’s hilarious series “Nathan For You” arrives in a complete series set on December 11, 2018. 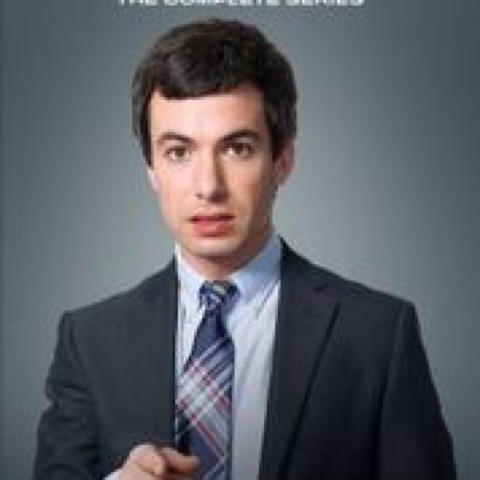 Comedian Nathan Fielder uses his business degree and life experiences to help real small businesses turn a profit. But because of his unorthodox approach, Nathan’s genuine efforts to do good often draw real people into an experience far beyond what they signed up for. Enjoy all four seasons and more than 30 episodes in the 9-disc DVD set, which also includes audio commentary on select episodes and loads of uproarious extras such as the full “Dumb Starbucks” press conference, deleted scenes from “Finding Frances,” and much more. 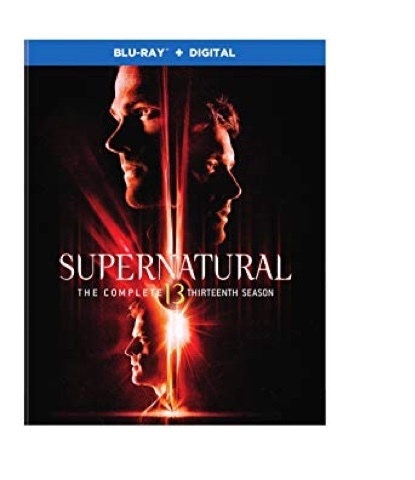 Released last month in anticipation of the fourteenth season premiere, Warner Brothers presents Supernatural: The Complete Thirteenth Season on both Blu-ray Disc and DVD, but the format choices are sold separately. The highlight of the season was the Scoobynatural crossover, which is explored among the extra value features chronicling the Winchester Brothers quest to save the universe. Along with the final season of The Originals on Blu-ray Disc or DVD, Supernatural: The Complete Thirteenth Season is a great way to prepare for the Halloween celebration in a prime time CW Network style. All 23 episodes are presented in 1080p full HD with English DTS-HD MA 5.1 Surround Sound as well as Portugese Language 5.1 Audio with English Subtitles for the Deaf and Hearing Impaired encoded as options plus French, Spanish, and Portuguese Language Subtitles encoded as options. In addition to the making of Scoobynatural featurette, there are examinations of the Winchester Legacy and the rise of the Nephilim, Kansas' performance of "Carry On Wayward Son" from SDCC 2017 as well as the Comic-Con Panel, audio commentaries, deleted scenes and a gag reel. The Blu-ray set comes housed in a blue multidisc keep case within a cardboard slip. A limited time redeemable copy of an ultraviolet digital version of the season on an insert within the BD keep case wraps up the highlights of the Blu-ray Disc Set. Supernatural: The Complete Thirteenth Season is available now at retailers on and offline courtesy of Warner Brothers Home Entertainment. FOR IMMEDIATE RELEASE, LOS ANGELES, CA, October 5, 2018 — The American Film Institute (AFI) Board of Trustees announced today that Denzel Washington will receive the 47th AFI Life Achievement Award, America's highest honor for a career in film. The award will be presented to Washington at a Gala Tribute on Thursday, June 6, 2019, in Los Angeles, CA. The AFI Life Achievement Award Tribute special will return for its seventh year with Turner Broadcasting to air on TNT, followed by encore presentations on sister network Turner Classic Movies (TCM). Audi and American Airlines return as Official Sponsors of the event. "Denzel Washington is an American icon," said Sir Howard Stringer, Chair, AFI Board of Trustees. "As an actor, he stands tall as a heroic, stoic embodiment of the best in all of us, and he does so with heart, humanity and one of the brightest smiles to ever light up the screen. Equally formidable as director and producer, he is a creative force to be reckoned with — and one of the most vital, relevant artists working today. AFI is proud to present him with its 47th Life Achievement Award." Actor, director and producer Denzel Washington is an iconic leading man whose career spans five decades — an esteemed repertoire ranging from screen to stage, in works defined by his towering presence as heroic everymen, troubling antiheroes and real-life figures with complicated, often controversial histories. His cinematic legacy includes powerhouse, Academy Award®-winning performances in GLORY (1989) and TRAINING DAY (2001), as well as celebrated roles in CRY FREEDOM (1987), MALCOLM X (1992), THE HURRICANE (1999), FLIGHT (2012) and ROMAN J. ISRAEL, ESQ. (2017), earning additional nominations for each. Washington has crafted compelling, unforgettable characters in recurring collaborations with master directors past and present, bringing stalwart grit and nuanced complexity to films essential to the American canon, such as Jonathan Demme's PHILADELPHIA (1993), Spike Lee's INSIDE MAN (2006) and Ridley Scott's AMERICAN GANGSTER (2007) — and to blockbuster, crowd-pleasing fare such as Edward Zwick's (AFI Class of 1975) CRIMSON TIDE (1995), Tony Scott's MAN ON FIRE (2004) and Antoine Fuqua's THE MAGNIFICENT SEVEN (2016). A creative force behind the camera as well, Washington has helmed critically acclaimed films, including ANTWONE FISHER (2002) and THE GREAT DEBATERS (2007), in which he also stars. He won a 2010 Tony® for his performance in the play "Fences," and directed, produced and starred in the 2016 film adaptation that earned him Best Actor and Best Picture Oscar®nominations, as well as AFI AWARDS recognition. The son of a Pentecostal minister and a beauty parlor owner, Denzel Washington was born in Mount Vernon, NY, on December 28, 1954. His parents' professions shaped Washington's ambition to begin acting, with their natural inclination toward storytelling and oration. After graduating from Fordham University with a BA in Journalism, Washington won a scholarship to the American Conservatory Theatre (ACT) in San Francisco, CA. Soon after leaving ACT, he appeared in off-Broadway productions and television movies before being cast in a starring role in the hit television series ST. ELSEWHERE. Washington's filmography also includes MO' BETTER BLUES (1990), MISSISSIPPI MASALA (1991), THE PELICAN BRIEF (1993), COURAGE UNDER FIRE (1996), THE MANCHURIAN CANDIDATE (2004), THE EQUALIZER (2014) and THE EQUALIZER 2 (2018). He is married to actor Pauletta Washington, with whom he has four children: John David Washington, Olivia Washington, Katia Washington and Malcolm Washington, who is an alumnus of the AFI Conservatory, Class of 2016. "The recipient should be one whose talent has in a fundamental way advanced the film art; whose accomplishment has been acknowledged by scholars, critics, professional peers and the general public; and whose work has stood the test of time." HOLLYWOOD, Calif. – “The action is off-the-charts spectacular” (Peter Travers, Rolling Stone) in the “wildly entertaining” (Chris Nashawaty, Entertainment Weekly) global hitMISSION: IMPOSSIBLE—FALLOUT, arriving on Digital November 20, 2018 and on 4K Ultra HD, Blu-ray, and DVD December 4from Paramount Home Media Distribution. The exhilarating, action-packed movie will also be available as part of the MISSION: IMPOSSIBLE 6-movie Blu-ray and 4K Ultra HD + Blu-ray Collection, the perfect gift for the holidays. Produced by Tom Cruise and Bad Robot, Paramount Pictures and Skydance presentMISSION: IMPOSSIBLE—FALLOUT, one of the best reviewed movies of the year, thrilling critics and audiences alike and boasting a 97% Fresh rating on Rotten Tomatoes. Now fans can go deeper into the Mission with over an hour of high-octane, behind-the-scenes footage highlighting the incredible stunts, heart-pounding action and exotic locations on Digital*, a 3-disc 4K Ultra HD Combo Pack or a 3-disc Blu-ray Combo Pack. Drop from the sky, race through Paris, and cling to a cliff with Ethan Hunt as the cast and crew reveal the incredible work that went into creating the breathtaking action. 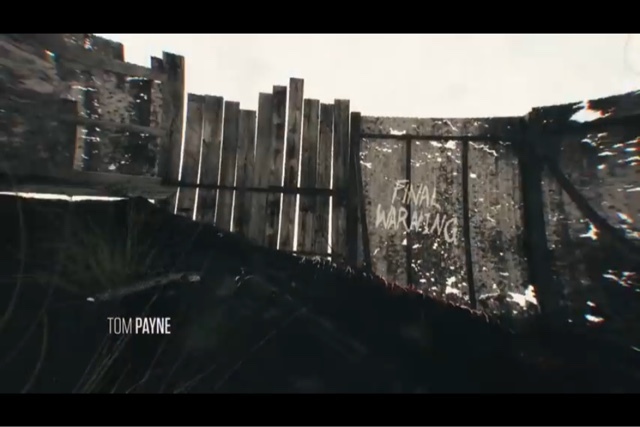 Plus, check out deleted scenes, storyboards, multiple commentaries, and much more. The 4K Ultra HD disc and 4K Ultra HD Digital release** feature Dolby Vision™, which brings entertainment to life through ultra-vivid picture quality with spectacular colors, highlights that are up to 40 times brighter, and blacks that are 10 times darker. The film also boasts a Dolby Atmos® soundtrack remixed specifically for the home to place and move audio anywhere in the room, including overhead***. 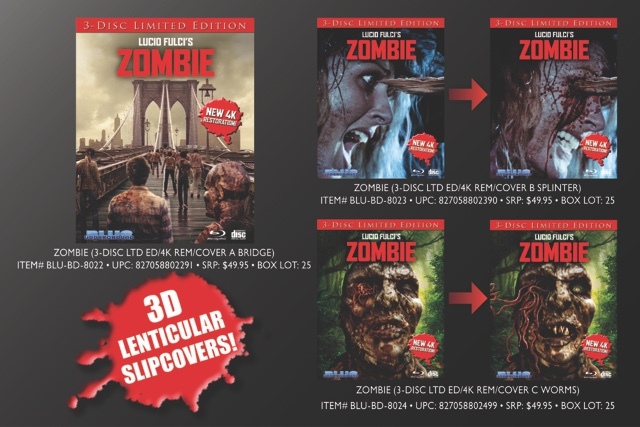 In addition, both the 4K Ultra HD and Blu-ray Combo Packs include access to a Digital copy of the film. On a dangerous assignment to recover stolen plutonium, Ethan Hunt (Tom Cruise) chooses to save his friends over the mission, allowing it to fall into the hands of a deadly network of highly skilled operatives intent on destroying civilization. Now, with the world at risk, Ethan and his IMF team (Simon Pegg, Ving Rhames, Rebecca Ferguson) are forced to work with a hard-hitting CIA agent (Henry Cavill) as they race against time to stop the nuclear threat. Written and directed by Christopher McQuarrie, MISSION: IMPOSSIBLE—FALLOUT also stars Sean Harris, Angela Bassett, Michelle Monaghan and Alec Baldwin. 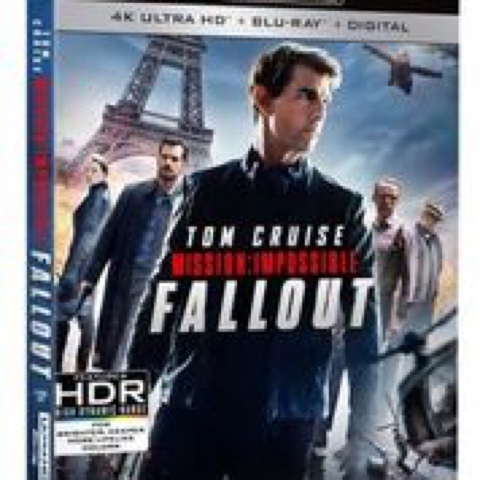 The MISSION: IMPOSSIBLE—FALLOUT DVD includes the feature film in standard definition. LOS ANGELES (October 1, 2018) --“Ant-Man and the Wasp,” one of the most highly-anticipated 4K UHD digital debuts this month, is available for purchase starting tomorrow on FandangoNOW, Fandango’s on-demand video service. To get fans excited about Tuesday’s digital premiere, Fandango is currently hosting a special clip of outtakes from Stan Lee’s memorable cameo in the movie here. To help celebrate the film’s digital debut on October 2, Fandango Managing Editor Erik Davis will host a live Q&A with “Ant-Man and the Wasp” director Peyton Reed on Fandango’s Twitter page on Tuesday at 10 am PT. Please submit your questions on Fandango’s Twitter and follow the chat here. To celebrate the anniversary today only, fans can rent any (or all) of the zombie movies on the FandangoNOW list at a discounted rate, with $1.00 off the regular low price when using the promo code LIVINGDEAD50 at checkout. FandangoNOW has the most comprehensive selection of films in 4K Ultra HD from all the major studios and content providers. The fast-growing service’s robust catalog is available on more than 200 million devices, offering 70,000 new release and catalog movies, next-day TV shows, and an extensive library of 4K and HDR titles to buy or rent -- no subscription required. The streaming service curates entertainment options for every occasion and provides Tomatometer scores to help consumers with their viewing decisions. Please see below for FandangoNOW’s list of top 25 Zombie Movies ranked by Tomatometer Scores.